Obituary for "Barry" William James Barry Ashley | Providence Funeral Homes & Crematorium Inc.
A gentle giant is no longer with us! Barry Ashley closed his eyes for the last time at Westview Care Home in Penticton on Monday January 21st, 2019 just short of his 90th birthday. 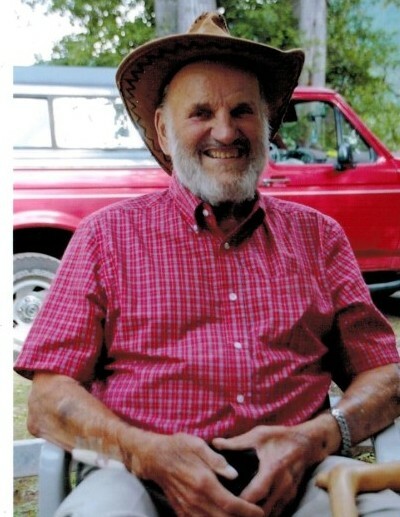 Born on Feb. 23, 1929, he was born in Kelowna and rode home to Peachland on the S.S. Sicamous. The Ashley Family later moved to Penticton where he attended School. He was very active in Basketball but his real passion was Baseball. He both played and coached and was called often to umpire. He was also an avid Bowler and Curler and won many trophies and awards for both. For almost 40 years he worked for the City of Penticton right up until he retired. You never saw him without a smile and a wave. Once retired, he moved his wife to their summer home at Mahood Lake in the Cariboo. They enjoyed hunting, fishing and the outdoors for over 20 years there. In 2016, they moved back to Penticton. Barry is survived by his wife of 51 years, Janice, eldest daughter Vicki Duncan of Penticton, grandchildren Ceiligh Tummon (Chad) , Penticton, James Duncan, Abbotsford, youngest daughter Syndi Marcolin (Clark) of Whitecourt, AB, grandchildren Curtis & Isabella Marcolin, Whitecourt, Dylan Marcolin, Courtney, BC, one great granddaughter Jacquelin Tummon, brother Wayne Ashley (Marina), Penticton & sister in law, Judi Ashley, Salmon Arm. He was predeceased by his youngest brother Dale Ashley. At his request, his ashes will be taken to Mahood Lake. An Open House will be hled at 625 Ellis Street, his daugher’s home, on Saturday, Feb. 23 from 1:00 – 3:00 for family & friends to gather and reminisce.